C&IT has chosen five agencies to watch in 2016, in different categories. First up, the global agency Ashfield Meetings & Events. This year Ashfield Meetings & Events secured more than £2m in fee revenue, from both new and existing clients. 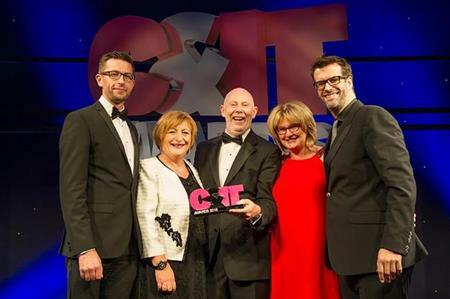 The agency has delivered events and experiences in more than 50 countries and enhanced training and development in its global offices, winning the C&IT Global Agency of the Year accolade in September. In addition the agency has witnessed its partner brand Spark Thinking get up and running, increasing the creative content and production services the agency can deliver. The new brand, which was established at the end of 2014, has been designed to offer a consultancy resource to enhance the effectiveness of Ashfield's live events and communication strategies with 'edgier, more interesting and exploratory options'. Nicola Burns, global managing director, said the agency had maintained flexibility and worked closely with the company’s 20 other offices in a bid to deliver an effective global product. Challenges for the agency have included maintaining the market share, recruiting talented staff, identifying the correct supply chain, bringing businesses together and transferring brand equity. "In order to ensure we meet these challenges, we promote a mindset in the agency to scrutinise everything we do and always look for ways to improve. This approach helps us not only deliver unique solutions for our clients but also ensures our internal processes are evolving and developing to become more efficient and anticipate future market needs." "We have a strong focus on business development to ensure the business continues to grow," said Burns. "This will continue to be in the healthcare arena due to our experience, understanding and insight and we will be launching joint initiatives with the Ashfield Healthcare Communications agencies to position our connected excellence in the sector. We will also be looking at sectors such as professional services, financial firms and the automotive industry, which represents a growth opportunity for us, on the back of recent successes with Spark Thinking." Stay tuned for the rest of C&IT's 'agencies to watch in 2016', to be announced this week!